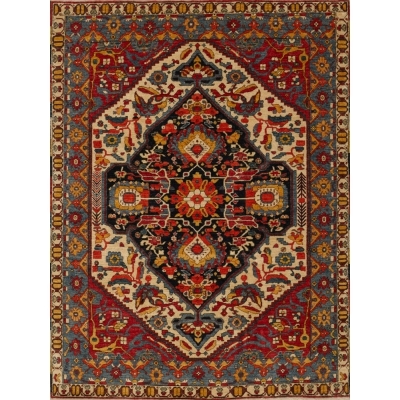 Farahan is a village located in west central Iran, north of the city of Arak, and is known for its finely knotted late 19th century rugs. 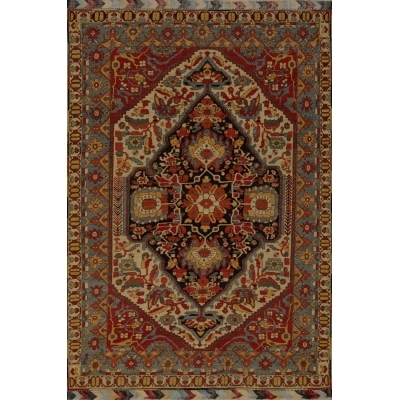 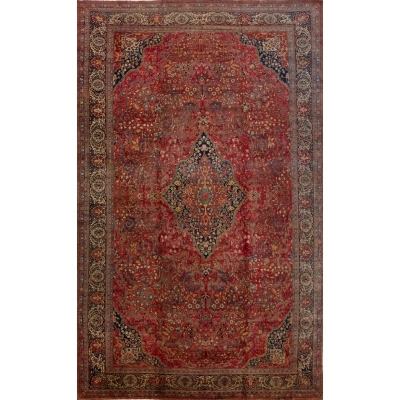 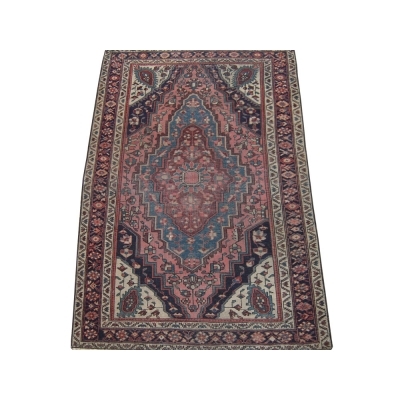 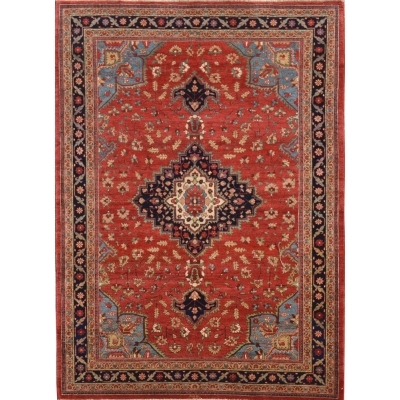 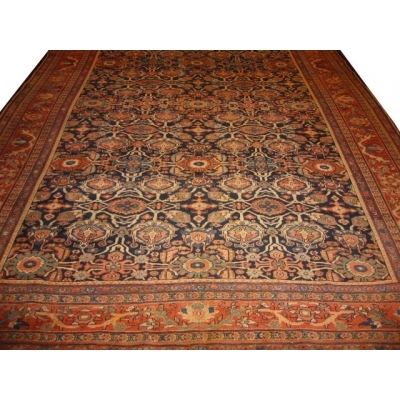 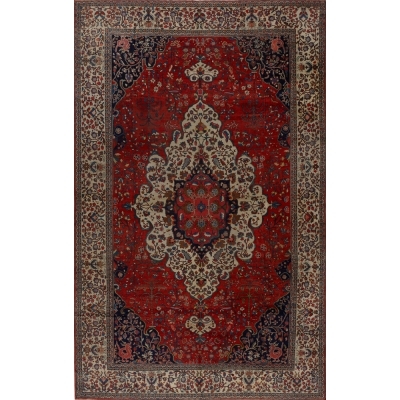 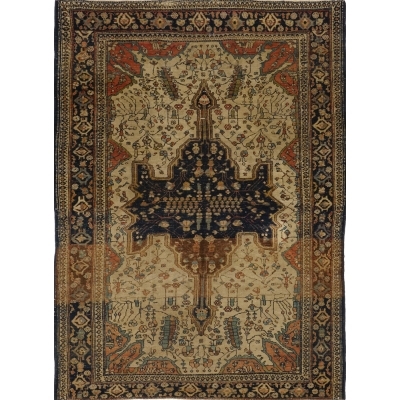 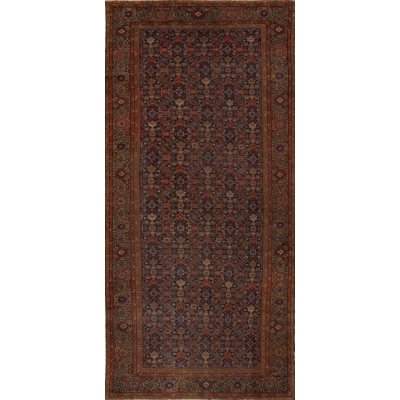 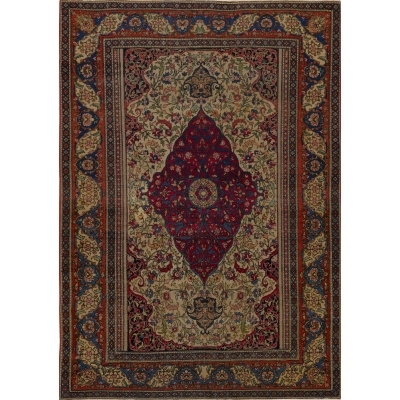 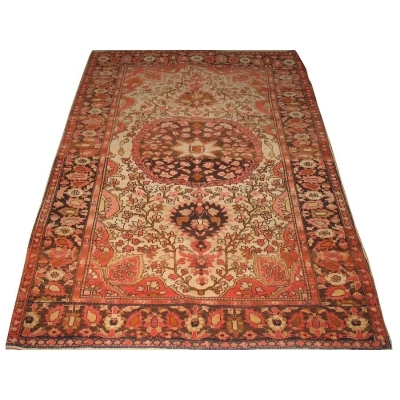 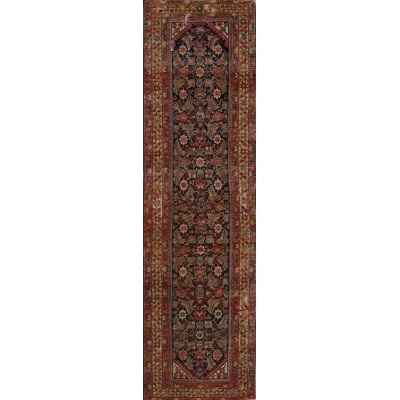 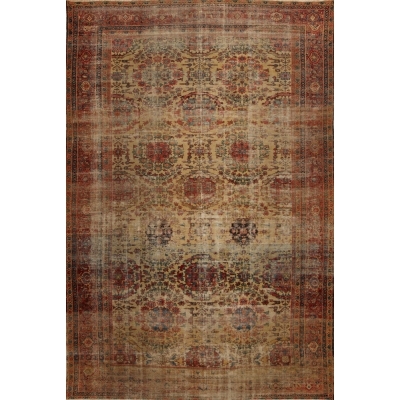 Most Farahan rugs have a geometric pattern, although some curvilinear rugs are woven in the region as well. 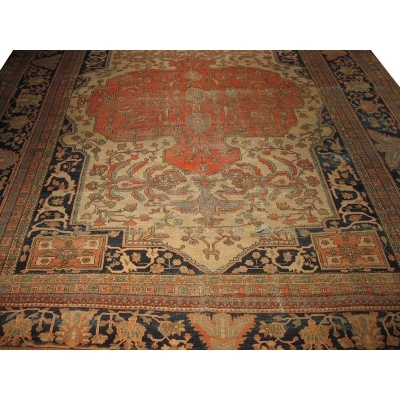 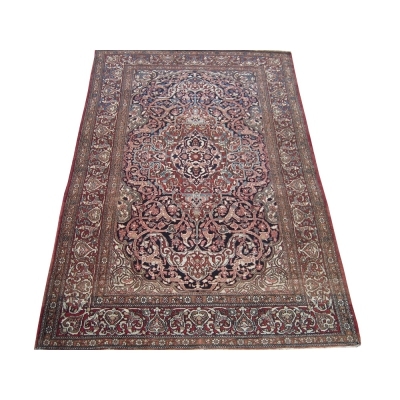 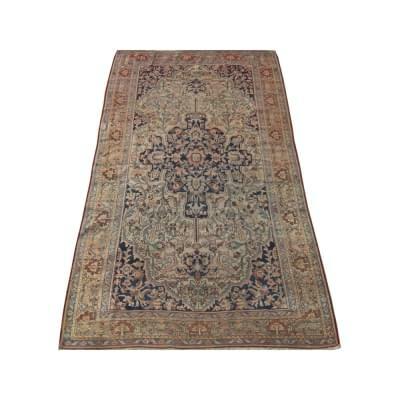 These high quality rugs can be divided into two main types. 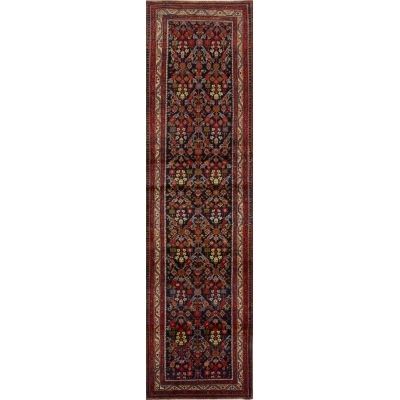 The first type is characterized by an all-over or endless-repeat pattern with motives such as the herati or boteh design. 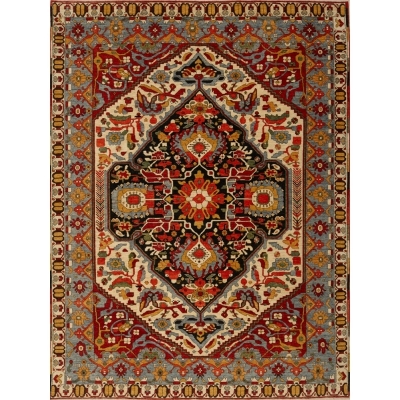 Herati, being the most popular motives, has many variations and the boteh motives are usually woven inside hexagon-shape panels. 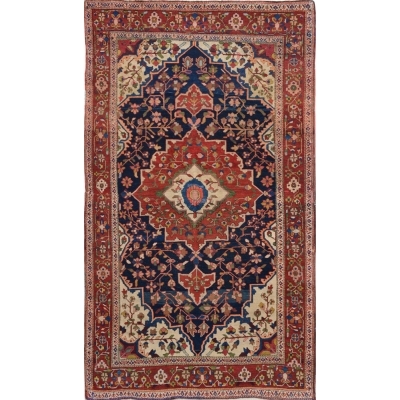 The second type is characterized by its medallion layout and has a classical Persian design, so-called Sarouk-Farahans. 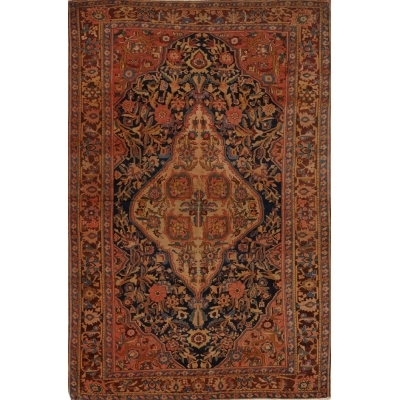 The medallions can be large hexagon, diamond, or oval shapes with large ornaments. 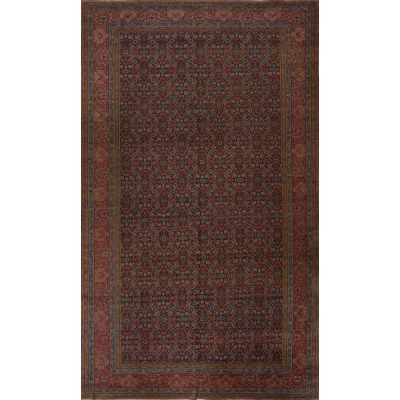 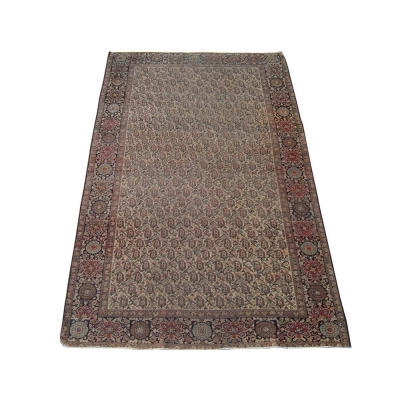 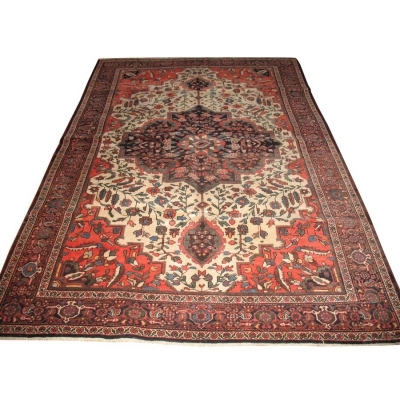 Two common motives used in the field of these rugs are the herati and gul hannai design.